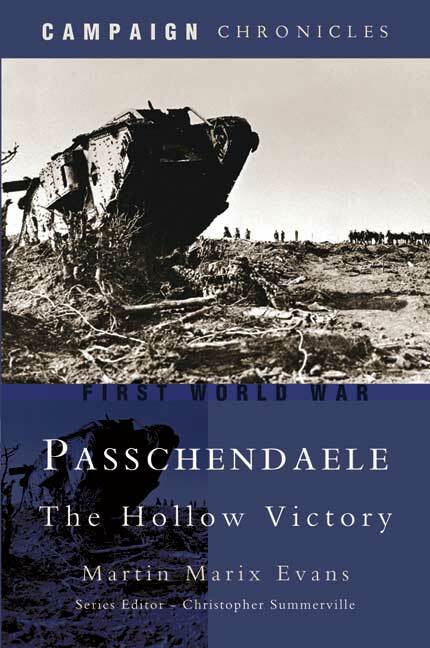 You'll be £12.00 closer to your next £10.00 credit when you purchase Passchendaele-The Hollow Victory. What's this? Order within the next 6 hours, 13 minutes to get your order processed the next working day! Passchendaele is one of the most evocative names associated with the Great War. For over 80 years, the battle has epitomized pointless slaughter on an unimaginable scale. The bare statistics are shocking in themselves - the British, French and German armies suffered over half a million casualties between July and November 1917. Ever since, the image of hapless soldiers struggling through the mud and the shellfire has come to represent the futility of trench warfare and the incompetence of their commanders. Yet, as Martin Marix Evans demonstrates in this gripping and perceptive reassessment, some common assumptions about the course of the battle - and the ways in which it was fought - are mistaken and should be looked at again. Recommended for any student of the Western Front. Evans does a fine job of creating an unbiased account of the battle and putting it into the overall context of World War One. This is no mean feat.